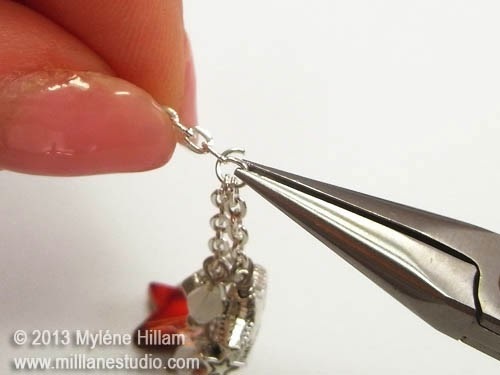 If you like your holiday jewellery to be a little less conventional, then this design might be just what you're looking for. 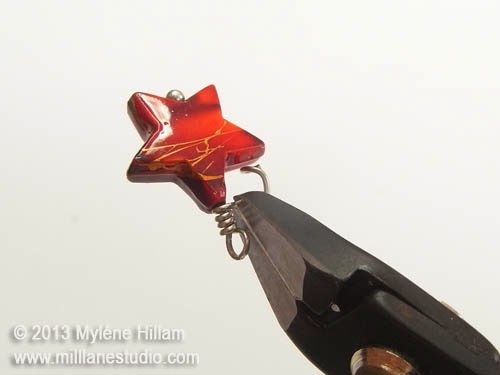 With an assortment of different shaped stars cascading and tumbling down the lengths of chain, they are reminiscent of the stars in the Milky Way. 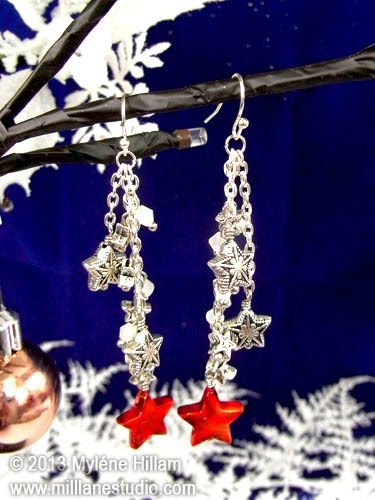 The inspiration for these starry Christmas earrings comes from the words of Away in a Manger - The Stars in the Night Sky. String all the beads on head pins. 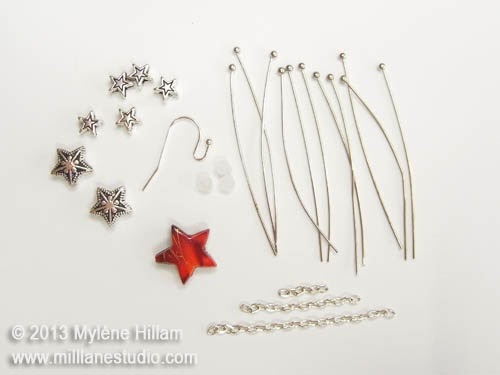 Turn simple loops on all the small silver stars and the milky white bicones. 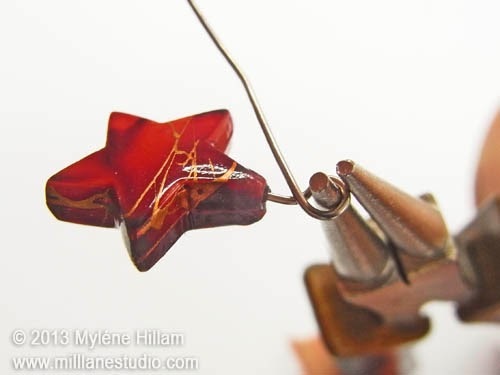 Create a wrapped loop on the red star and the 2 textured star beads. First grip the head pin above the bead and bend the wire at a 90° angle. 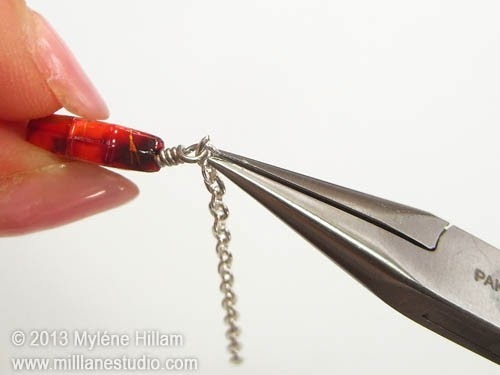 Use round nose pliers to create a loop and then cross the wire over the neck and wrap it around approximately 3 times. Trim away the excess wire with the flush cutters. 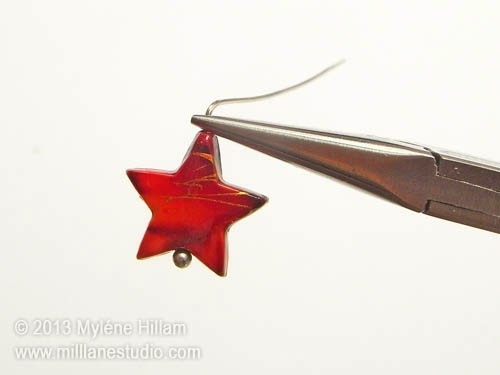 Open the last link of the longest chain and attach the loop of the red star. 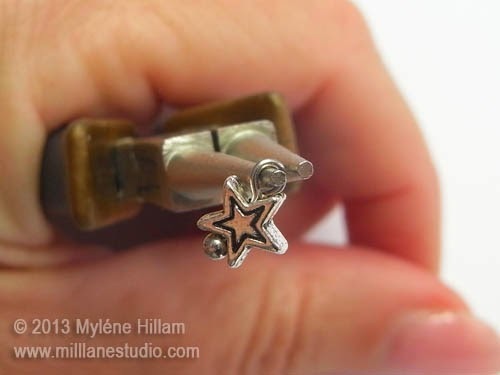 Attach the small silver stars and the milky white bicones to the chain, distributing them evenly. 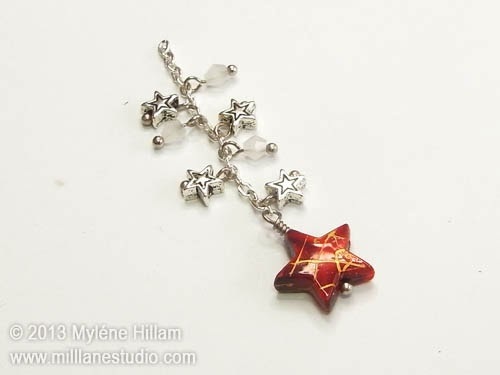 Open the last link on each of the two smaller chains and attach the textured stars. 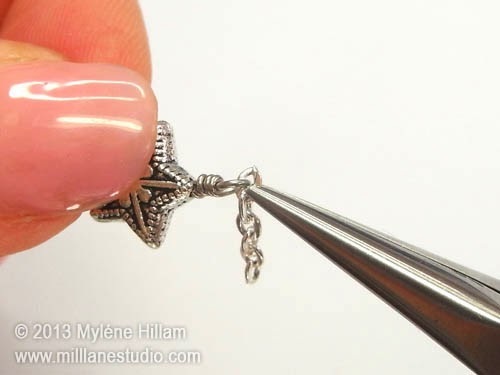 Open a jump ring and hook on each of the chains. 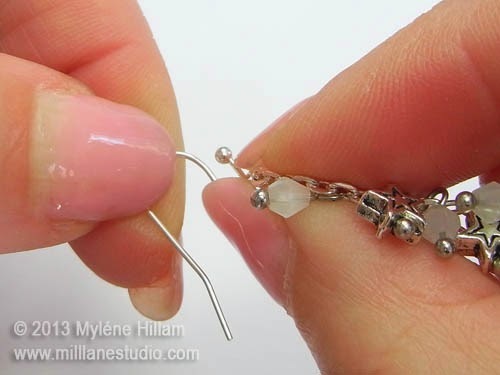 Hook the jump ring onto the interchangeable earring wire and gently bring the ball of the ear wire towards the wire to close the loop. 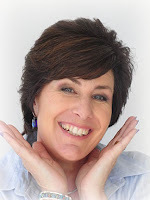 If you like this design, take a look at the Twelve Days of Christmas Earrings series of ebooks where you'll find so many more unique and inspiring designs.